5% amino acids, vitamins, and minerals. 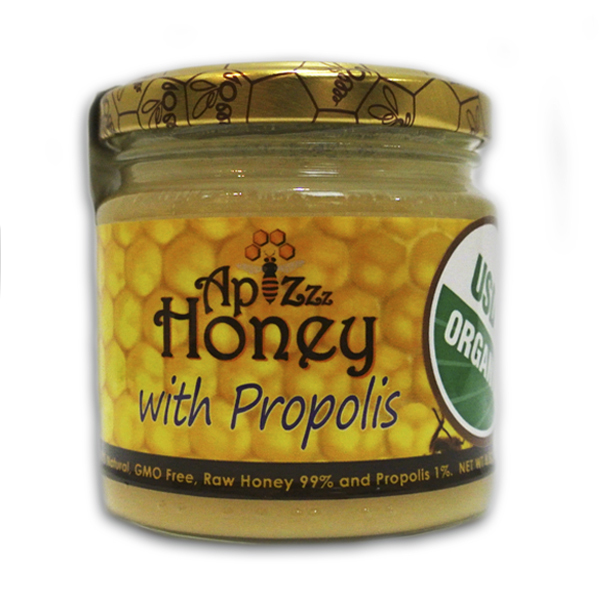 Propolis is a brown and sticky substance; worker bees gather from buds of poplars, birches and other deciduous and coniferous trees. After collection bees add salivary secretions to the resin by chewing on it, they add beeswax it becomes dark brown and very sticky, which is why it is also called Bee Glue. Once the Propolis is ready, bees use it as a construction material, similar to plaster or caulk. They cover the interior of the hive with it, and fill all openings. 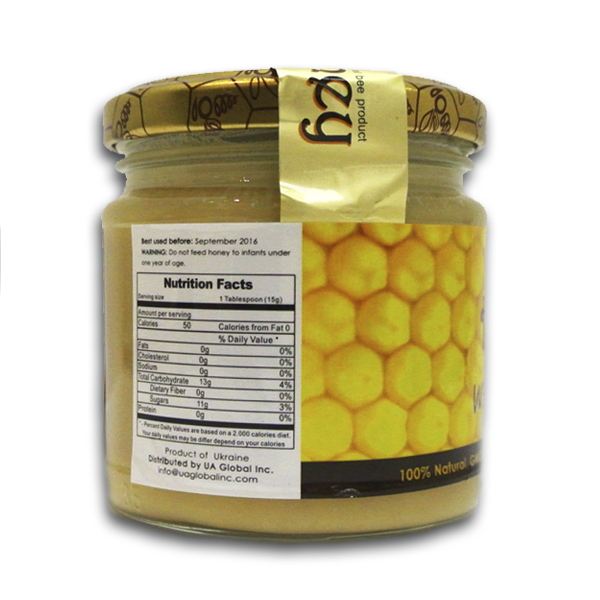 Be the first to review “Honey with Propolis 250g/8.82oz” Click here to cancel reply.